Follow the South Luzon Express Way (SLEX) until the exit San Pedro. Turn of, on the T-Junction turn left. Follow that road across the SLEX until Puregold (left). On the Traffic light turn right, second road right again (in front of 7-eleven). 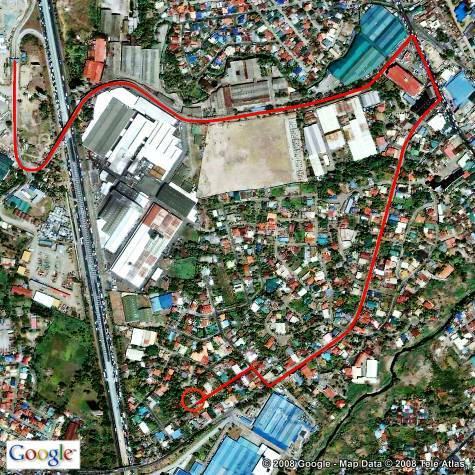 Follow that round around 2 km, turn right into Masambahin, after 100 mtrs turn left into Magiting St. Go until the second Sari Sari Store on the right, that belongs to the school. Go to the bus station underneath the MRT Ayala station (next to Glorietta Mall) or the bus station opposite Mega Mall. Take the bus with the sign San Pedro and/or Pacita. Get off at San Pedro Town Center (after the traffic light next to Puregold). Take a tricycle to 319 Magiting St.